receive the good Shebti in the Netherworld, his kingdom. 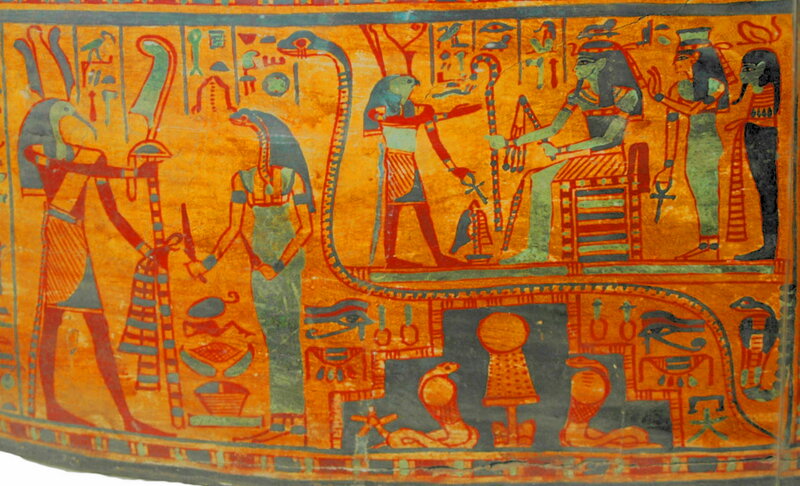 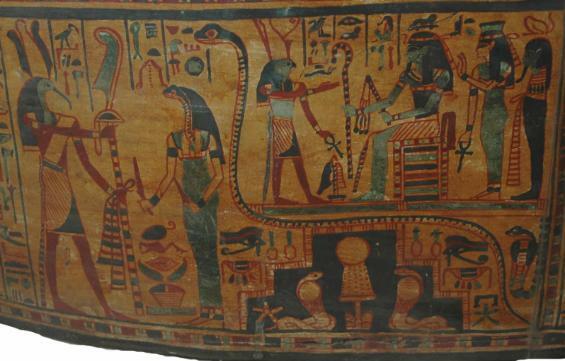 This is a very popular scene and is found in various forms on many coffins of the period. 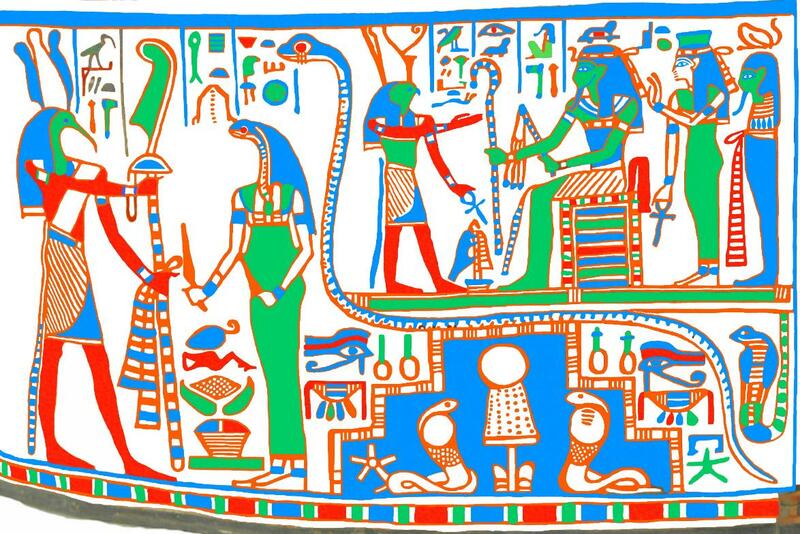 the painter was finished and no varnish had been applied.